One should not forget that high carat weight does not necessarily mean a larger looking diamond. Even diamonds of the same weight can differ on a basis of other factors, especially cut that influences perceived size. Large diamonds are rare to find and much in demand as compared to small diamonds even of the same quality. The price of a one-carat solitaire diamond ring is more than a ring with smaller diamonds making up the same carat weight. Diamond comparison is not effective until you compare the diamonds of similar features and qualities. While comparing the value of different diamonds, divide cost of every diamond in accordance with the carat weight and then calculate its price per carat. 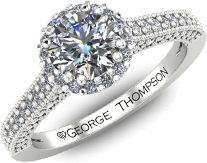 We at The George Thompson Diamond Co. feel that the only way to understand the differences between all these factors is for you to come into the store and sit down with one of salespeople and let us show you loose unset diamonds so your naked eye can see. When discussing points while talking about diamond sizes this is not in context with the number of facets a diamond has but to the weight of the diamond. One carat is equivalent to 100 points, so every point is 1/100th of a carat. 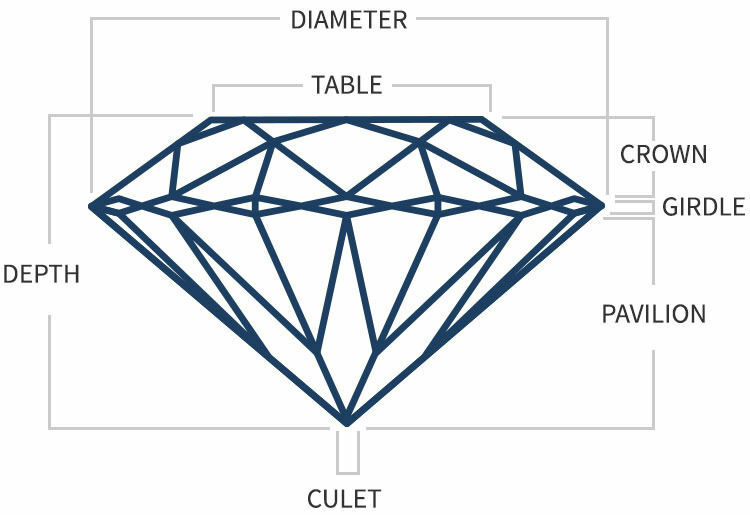 Carat weight also influences a diamond’s price. 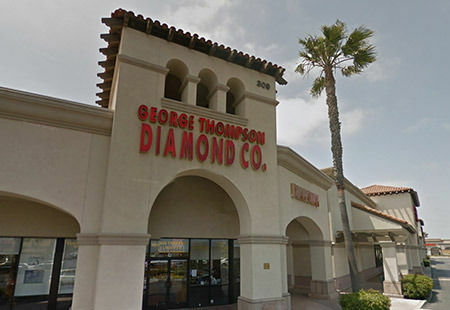 Because of the rarity of larger stones, they are priced higher. Carat weight is an important consideration while buying the diamonds for yourself. When we discuss the diamond’s color, we are referring to the absence and presence of the color in the diamond. Color of a diamond is a result of diamond’s composition and does not change with time. Colorless diamonds allow light to travel through them as compared to the colored diamonds. These diamonds also emit more fire and sparkle. The process, through which a diamond is formed, is the deciding factor for its color. The whiter the diamond is the higher value it will have. For grading the color of diamonds, we refer to GIA’s color scale that starts the rating with D for the colorless diamonds and grows up to Z as the traces of light yellow or brown color are found in the diamond. Diamonds graded from D to F are amongst the most desirable and valuable stones. 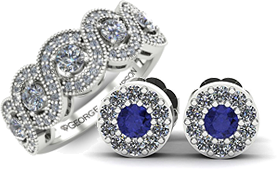 These diamonds are a delight for the diamond lovers. 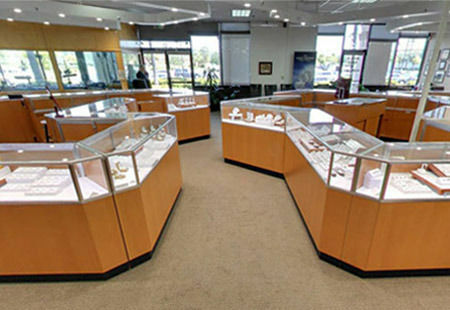 Nevertheless, if you have a low budget, you can also find good diamonds with lower grades. These diamonds are not exactly colorless but show no color to untrained eye. Consider the setting of the diamond before choosing the grade of a diamond. If the setting for your diamond is platinum or white gold, go for high color grades, if you want to get it fitted in yellow gold, slightly low grade diamonds can also look great. While you will find faint yellow hint in the diamonds that are graded from J to M, the color can be camouflaged by choosing the right setting for the stone to keep the price lower. 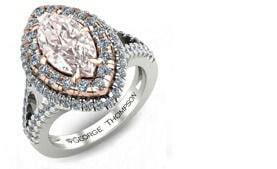 Many people prefer the warm glow given by low color diamonds. 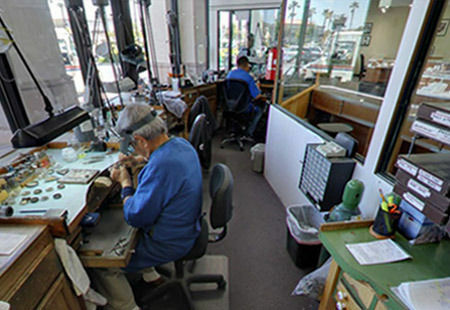 In the diamond business there are 2 Gemological Laboratories that are recognized within the business; GIA, Gemological Institute of America and EGLUSA, European Gemological Laboratory in the USA. GIA and EGLUSA certificates usually consist of a diamond’s inclusion plot, as there is no similarity between two diamonds. Some GIA certificates for smaller diamonds do not include a diamond plot on the certificate. However, a plot is kept by the GIA in their offices. 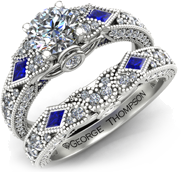 The plot of the GIA or EGLUSA certificate ensures the worth of the diamond you are planning to buy. It lets you have the assurance that the diamond you are receiving is the one you have paid for. If you are in a fix about what clarity grade you should choose, flawless is the best and rarest clarity grade.